The Duchess of Sussex expresses her disappointment to her father and calls out her half-sister Samantha for manufacturing stories for tabloids in the five-page letter Meghan writes to Thomas Markle. 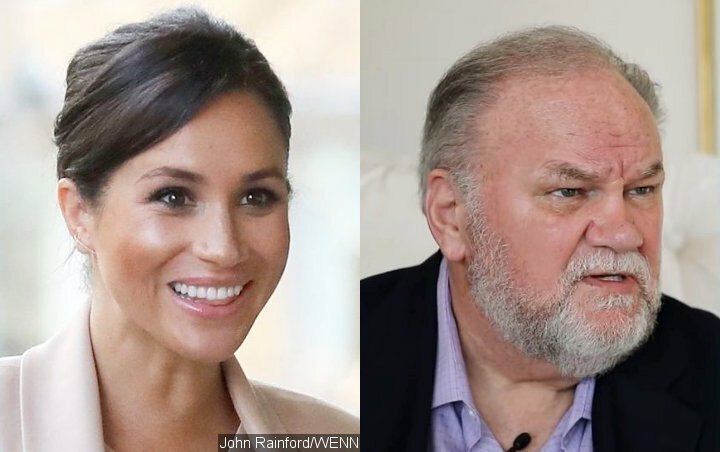 Thomas Markle has hurt his daughter’s feelings and he doesn’t seem to be ashamed of it. Instead of showing his remorse, the 74-year-old further exploits his daughter by sharing a personal letter that Meghan Markle wrote to him following her royal wedding to Prince Harry. In the handwritten letter released by The Mail on Sunday, the 37-year-old former actress expressed her disappointment to her father for exploiting her relationship with her now-husband. “Daddy, it is with a heavy heart that I write this, not understanding why you have chosen to take this path, turning a blind eye to the pain you are causing,” she wrote. The five-page letter also revealed that Thomas never told Megan personally his decision not to attend her wedding and the reason. “You’ve told the press that you called me to say you weren’t coming to the wedding – that didn’t happen because you never called,” the Duchess of Sussex wrote. She said that learning from tabloids instead of from her father about his alleged heart attack had caused her to worry. Thomas says he intended to keep the note private “out of respect for Meghan,” but decided to release the details after false reports surfaced about the specifics of the letter.